Apple’s fourth-generation Apple TV is now available to buy, the new Apple TV delivers the most polished video experience today, with speedy reactions and a familiar yet attractive interface. It has the best remote on the market. Siri’s voice search makes finding stuff to watch even easier, with search results pulled from numerous services beyond iTunes. 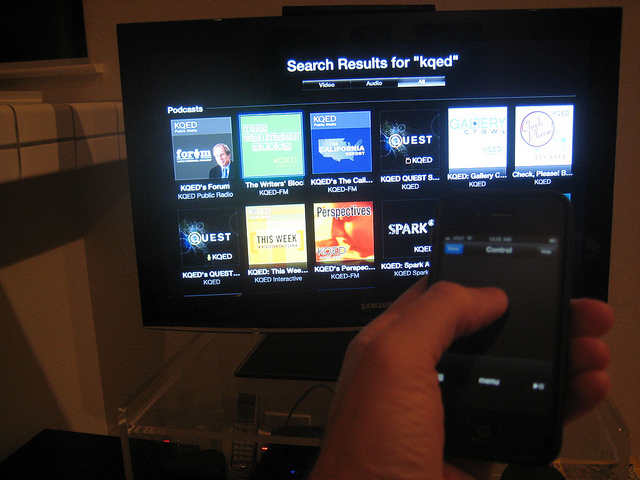 The selection of TV-based apps is very good, and AirPlay can be used for unsupported apps. Here, we offer three ways of transfer you colorful media/video/audio files to Apple TV 4, Just pick up the best way as you need. The first thing you need to do is download the “Remote” app for your phone. This app is free and made by Apple. Make sure your Apple TV and your iPhone are connected to the same internet network. You cannot sync the two if they are not on the same Wi-Fi connection. Open up your Remote app on your phone. You should see an option to “Add Library.” When you select this the app will give you a four digit password which you will then plug into your Apple TV. 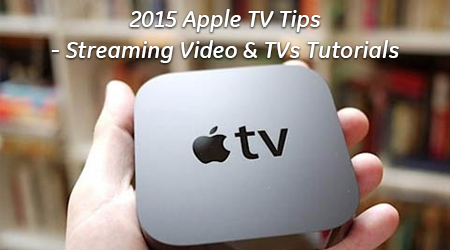 With your Apple TV hooked up to your TV, go into General Settings. Select “Remotes” –there should be an option for your iPhone to click on. When you do this you will be prompted for the password you got from you Remote app. Plug in the password and click “Done.” You now have access to your Apple TV library from your phone. Apple TV is a highly popular device that is compatible with HDTVs that comes with its own remote control and allows users to stream HD programming as well as control apps like iTunes. User can stream content from YouTube, Netflix, and other entertainment sites. The one gripe that many users have is it has its own remote and it is small and thus easily lost. If you’d like, you can program your Apple TV to recognize your universal remote control. To learn how to do this, just follow these few simple instructions. 1.Settings- You will need your Apple TV remote until the process is complete. With your Apple TV on, use your Apple TV remote to go to Settings, then General, then Remotes, and finally Learn Remote. After that, click Start. 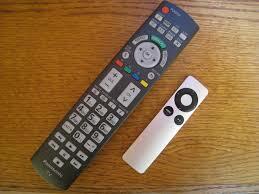 2.Universal remote- Using your universal remote, select a function that has not been used yet (TV, DVD, etc.). Now, follow the on-screen instructions. You will press and hold the up, down, left, and right arrows, watching the progress bar as the Apple TV learns each button. After this is done, press and hold Select and Menu. 3.Renaming- You can rename the remote if you choose or skip. 4.Playback buttons- You can have Apple TV learn your playback buttons (pause, rewind, fast forward, stop, skip forward, skip back, play, etc.). Once you complete this, the process is complete and your universal remote will now have the ability to control your Apple TV. Apple TV is used for streaming content onto your HDTV such as content from Hulu, YouTube, and other like sites as well as Apple apps like iTunes. Parental controls give parents the ability to restrict certain programming from their children, such as programs that had certain maturity ratings, restricting the ability to make purchases, or blocking certain channels altogether. 1.Main menu- In the main menu, you will see some options. Choose Settings, then General, then Restrictions. Turn on Restrictions. 2.Passcode- You will be prompted to enter a 4-digit passcode. Enter your chosen code, select Done, enter your code again, select Done again, and then select OK.
3.Restriction Settings- There are a number of options in the “Restrictions” menu. You can Hide content, require a passcode, or Allow content. One example is asking for the passcode when attempting to rent movies or perform other purchases. Another is setting which movie ratings to allow, ask for the passcode when attempting to access explicit content, etc. Check over the available options and select whichever ones you wish to apply. You can also restrict access to certain icons or hide them from the main menu. Note: Not all video formats are accepted by Apple TV. ATV is expecting .mp4, .mov or .m4v files containing MPEG4 or H.264 video and AAC, AC3 or MP3 audio streams, other files will not be copied. So when you want to sync other videos to Apple TV, first you need to convert video to Apple TV 4 compatible format. To get the work done, here we recommend the professional Apple TV 4 Video Converter- Pavtube Video Converter Ultimate, which can help you convert common video like mkv, mts and even H.265 video to Apple TV 4 compatible format and then you can get iTunes to sync other video formats to Apple TV 4 easily. Mac version ishere.